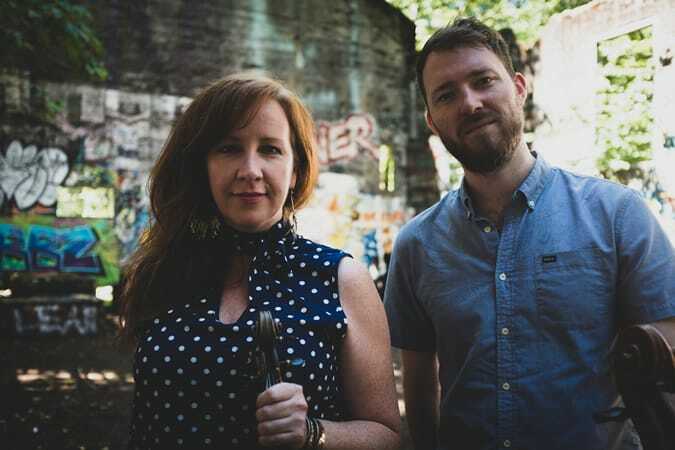 Deep Strings is a duo featuring Anne-Christin Schwarz and Stephan Braun. They both hail from East Germany and met each other at the Musikgymnasium Belvedere in Weimar. They have been developing their own unique sound since 2000. With brilliant timing, amazing virtuosity, a beautiful voice and stunning new cello techniques, they astonish audiences. The music of deep strings offers an outstanding mix of rhythm, melody and text in lyric pop-chansons, virtuoso jazz improvisations and Latin folk music. Their sources of inspiration are life, love and the love of life! While travelling with various ensembles through different countries and musical styles, they develop their musical ideas. Dive into a colorful cello world created by loops, sounds and percussive elements. In their concerts deep strings surprise with spontaneity and improvisation. Every show is a new journey. Eric Wright is a 2017 JUNO Award-winning cellist. Raised on pure Vermont air and inspired by his love for American Old Time and Irish music, he sets out to incorporate cello into new and traditional music in ways that haven’t been done before. Taking his innovative bowing techniques, chording styles, and ‘the chop’, to new levels, Eric has become a highly sought-after performer, accompanist, producer, session musician, and arranger for all types of folk styles. Eric has performed and recorded with numerous bands including Ruth Moody, Trey Anastasio, Natalie MacMaster, The Fretless, John Reischman and many others. Mairi Rankin is one of the hugely influential Rankin Family – legends on the Canadian music scene . Born in Mabou, Nova Scotia, Mairi has been influenced by some of the best Cape Breton traditional musicians and instructors on the island. She has developed her own unique style by being immersed in such a rich musical culture. She has toured nationally and internationally as a solo artist, a sideman and is a member of the Cape Breton Celtic super group Beolach. She has performed with the Rankin Sisters, Unusual Suspects and Bruce Guthro to name but a few. 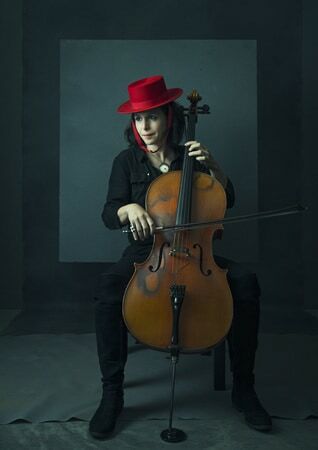 Belgian-born Helen Gillet is both a singer-songwriter and a surrealist-archeologist focused on the worlds of synthesized sound and acoustic cello. Though Gillet had already begun to experiment with improvisational music prior to her arrival in New Orleans, she’s since flourished into one of the most unique, talented, and beloved artists in the Crescent City. She’s known for her eclectic palette – which includes avant-garde jazz, French chansons, funk, alternative rock, and the bohemian flair of the Velvet Underground. Gillet’s solo performance is known for its enigmatic quality as she fabricates each song with a true mastery of live looping technology. Her training as an improviser began with North Indian Hindustani cellist Nancy Lesh (Kulkarni) in 1998, launching her into the worlds of free improvisation, jazz, funk, rock and song writing. Gillet has performed at a wide array of venues all over the world including New Orleans Jazz and Heritage Festival, Voodoo Festival, Copenhagen Jazz Festival and Hindsgavl Festival in Denmark, Nikodemuskirche Festival in Berlin, Mirano Oltre Festival in Italy, the Kennedy Center Center in Washington D.C. and MONA Mofo festival in Hobart, Tasmania and Darwin Music Festival in Australia. In his show “Cello Solo,” with his cello as his only means of expression, Matthieu Saglio creates a universe inhabited by an artistic vision that is rich and sensitive, as if dealing with musical northern lights. 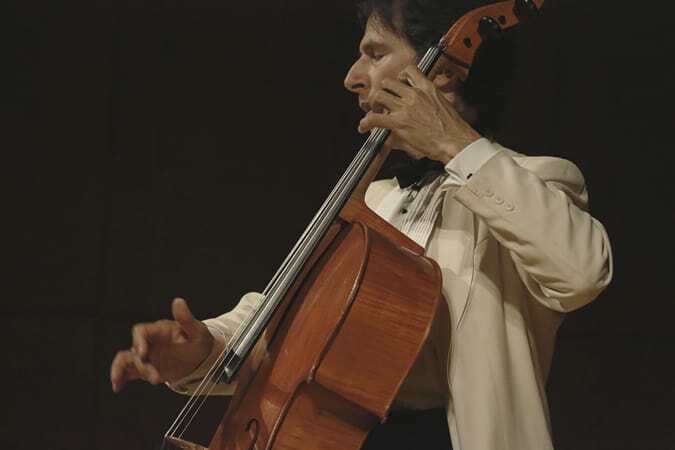 Cello Solo is the result of a long maturity; an accumulation of the multiple experiences of the musician. Matthieu Saglio combines classical tradition where Cello Solo’s roots are buried, with sounds and rhythms brought from his encounters across the world. In his compositions, you can hear resonating echoes from Western cathedrals and the souks of the Maghreb, to Latin-American tango and Iberian flamenco. 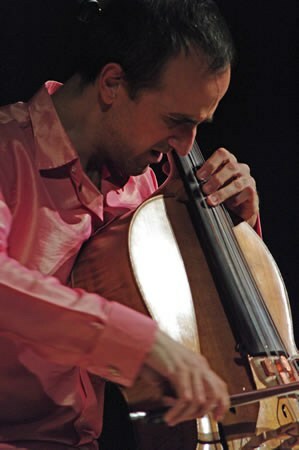 With an instantly recognizable sound and an original technique, Matthieu Saglio is one of the most exciting cellists of his generation. Classically trained (Conservatory of Rennes), Matthieu is one of the pioneers of the cello in flamenco with his trio Jerez-Texas, which has been touring around the world since 2002 (500 concerts in almost 30 countries). Saglio has many projects: solo, duo and numerous collaborations with other formations. A native of Hamilton, Ontario, Cappadocia picked up his first cello at the age of three, but to call him a prodigy is to miss the point. “I’ve always had a problematic relationship with my instrument,” he muses. “It’s been the essential means of expression for me, but the standard career paths it can lead you down left a lot to be desired for me.” Cappadocia realized early on that the strictures of classical music couldn’t come close to capturing the soaring sounds he heard in his head. 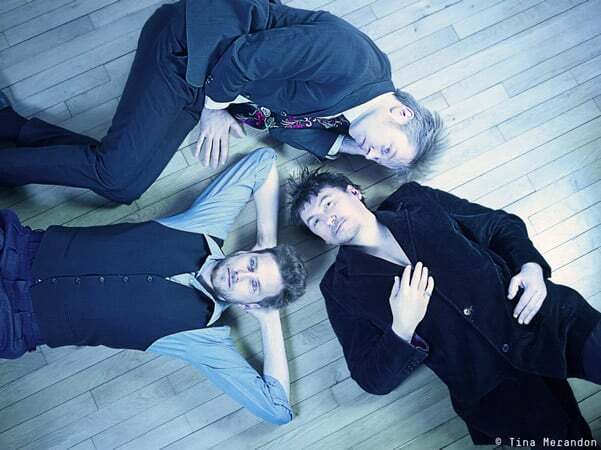 Cappadocia studied music in Montreal at McGill University. Leaving school, Cappadocia relocated to Europe, where his busking landed him in Southern France and, eventually, Spain, where he was first exposed to the mix of Romish and Arabic influences that reached their apotheosis in Flamenco. That search would subsequently lead him to New York where he has set up a more or less permanent base where he plays with as many different musicians as he can. Cappadocia played with Celtic pioneer Seamus Eagan; musical polymath Ross Daly, who was instrumental in introducing Cappadocia to Middle Eastern and Balkan music; guitarist David Fiuczynski, with whom he formed the Eastern Modal fusion group, Kif (which played at the New Directions Cello Festival in 1997). Add to this list such marquee names as Aretha Franklin, Odetta, Cheick Tidiane Seck, and Vernon Reid, former guitarist of Living Color – all of whom Cappadocia has worked with – and his reputation as a world-class artist with a world-spanning musical reach makes perfect sense. 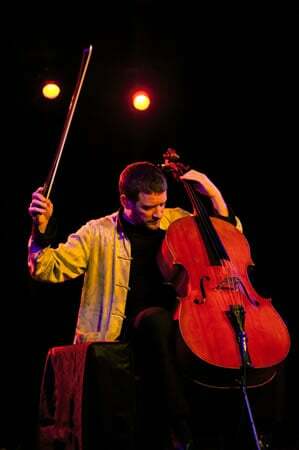 Cappadocia plays a five-string cello and an eight-string quartertone guitar, both of his own design. He performs regularly with the Bethany and Rufus Roots Quartet (USA/Niger/Haiti), Bonga Jean-Baptiste’s Vodou Drums of Haiti, Peter Bethany & Rufus (USA), Ilham featuring Gaida Hinawi (Syria), Vishal Vaid Ghazal Ensemble (India), Paradox Trio (USA/Macedonia) and Stellamara (USA) as well as his unaccompanied Solo Performances. Cellist and award-winning composer, Stephen Katz, has performed at Carnegie Hall and toured internationally as a soloist, and with the Paul Winter Consort and the Essex String Quartet. He has been featured on APM’s Performance Today broadcasts and is a NEA grant recipient. As co-founder of Seen & Heard with dancer/monologist BJ Goodwin, he literally danced with the cello while accompanying the dramas they played out on stage. Katz has charted new territory for the rhythmic potential of the cello with the groundbreaking approach he calls Flying Pizzicato. The results are compositions that juggle two or three voices at a time, making music that lays grooves, weaves tunes, and lifts spirits. As a film composer, Katz has won a Jury Prize Gold Medal at the Park City Film Music Festival and scored films broadcast nationally on PBS/Independent Lens. Vincent Courtois‘ classical training endowed him with technique, precision, and instrumental control. His curiosity and eclecticism led him to play with brilliant musicians from different backgrounds: Rita Mitsouko, Christian Escoudé, Michel Petrucciani, Michel Portal, to name a few. With Sylvie Courvoisier, Dominique Pifarely, Joëlle Léandreand Joachim Kühn, Courtois returns to his instrument’s classical aspect. His collaboration with Rabih Abou Kahlil frees him as a soloist. His collaboration with Louis Sclavis, with whom he shares a cinematic approach to music, endows him with a fine sense of melody. Strengthened by his many experiences and influences, Vincent Courtois has developed a unique musical exploration. His creative process builds on musical relationships, the balance of personalities and energies, the impact of contrast, ideas of sound, images, incertitude and silence. Creating a musical form where freedom is paradoxically managed with utmost rigor and attentiveness, he gives collective creation a chance and each collaborator a unique position in a spirit of trust and mutual involvement. Vincent will be performing with his Love of Life Trio which also features Robin Fincker, tenor sax and clarinet and Daniel Erdmann on tenor sax.